“I don't care about the money. I just want to be successful in my life and I want to bring the team success..."
Kamui Kobayashi says he offered to drive for Caterham for free in order to facilitate a return to Formula One. It was announced on Tuesday that Kobayashi would be driving for Caterham alongside Marcus Ericsson in 2014 as the team opts for an all-new driver line-up. Despite his experience with Toyota and Sauber, Kobayashi revealed he wouldn't be paid at Caterham and was just focusing on showing his potential after a year without a drive. Having been racing for Ferrari's GT team in 2013, Kobayashi said he felt joining a team which has still yet to score a point in its history was a risk worth taking. Team owner Fernandes said he had chosen Kobayashi in order to give the team some “adrenaline” ahead of the new season. “Whether I get a million [pounds], half a million or two million – in the scheme of things – makes no difference when you're talking about £80million budgets. So what we thought Kamui brought is maybe that little bit of spark, something that you can't really quantify. So Lotus must be envyous of Caterham now: a driver that does drives for free. I understand Kobayashi, It's an investment (for possibly a better team) for him in 2015. Plus I can relate to loving something so much, that you gladly do it for free. I'm also glad that he doesn't need the money to live. Kimi took that chance with Lotus and now he's in a top team. But having said that, I don't think is fair for good drivers to be in a position of driving for free, in order to beat pay drivers for a seat. They are doing well a very risky job, they should be getting some fair pay. i wish i could translate it but its too hard for me. Finally it ends saying that Raikkonen has been seen in Maranello more than Alonso? do i get it right? ahhh, yes, it also says how motivated Kimi looks! Yes, that's right. Sorry I don't have much time to translate it. Part of it is what we already saw in the videos. But I also liked it because we're finally reading positive things about him, rather than the usual from the Italian tabloids. And yes, that part about Alonso, surprised me too. let's see if starting the season they still write things like that. I almost forgot how almost everybody couldn't stand Alonso's whining at the end of last season. Maybe that's helping Kimi to get even more apreciation from Ferrari and the rest. Everyone liked the way he is now, always smiling, joking and telling each other's stories. And he seems to appreciate the friendly welcome. That Kimi is like "one of those old ceramic stoves that takes forever to heat, but when it does, it makes it worth the wait". It also says it's no secret Kimi is no fan of simulators (because it seems they make him sick to his stomach) he barely did it in Lotus, but that this time he is motivated to get used to the diferences between the steering wheels (specialy the Kers) as soon as posible. 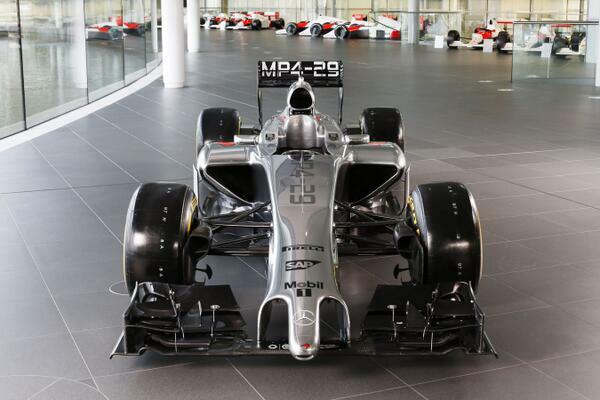 Also because suposedly the 2014 cars will be diferent to drive. But Kimi has this mental attitude that make it immune to all changes and that he will succed in no time like he did when he got back in F1. that was nice to read. It says those 3 days has only left happy faces and positive comments. That Kimi is like "one of those old ceramic stoves that takes forever to heat, but when it does, it makes it worth the wait". Following intense speculation about plans for McLaren, Boullier has resigned from his position as Lotus team boss with immediate effect. The Frenchman, who has done an impressive job at Lotus despite financial constraints, is now favourite to land the job at McLaren. Lotus has confirmed that its owner Gerard Lopez will be its new team principal for 2014. But that wasn't necessarily all Martin's fault. And Lotus did OK last year, and that wasn't necessarily all because of Boulier either. Is there anyone left at Lotus? What is Lopez pretending to do? Run the business, the team, make the car and possibly drive it too?